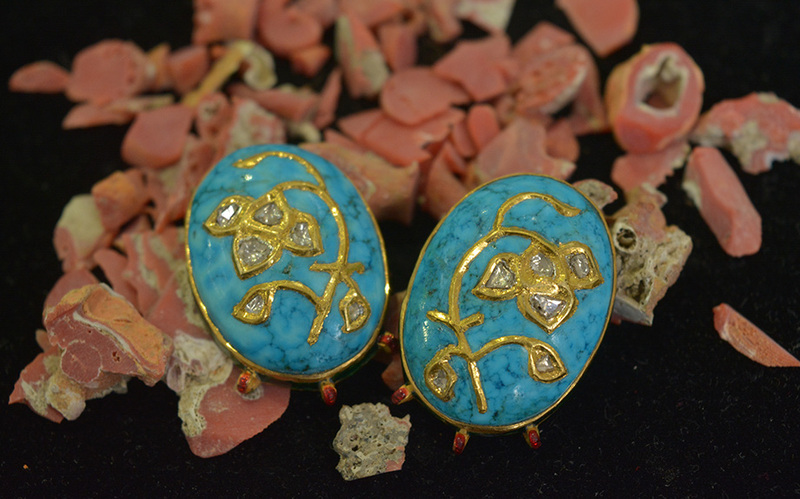 Putting spotlight on your designed pieces by adding colours of enamelling and stones, since 1990. 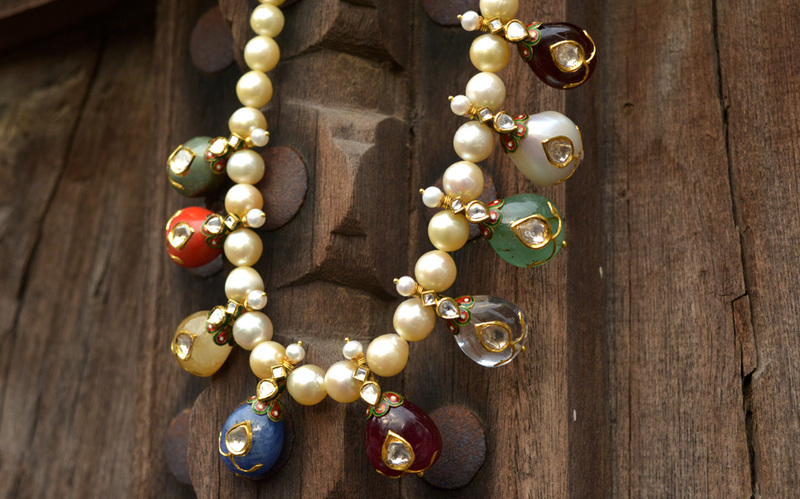 Our collection is constructed using gold, inlaid coloured stones, pearls, handcrafted with fine cuttings in kundankari and enamelling. 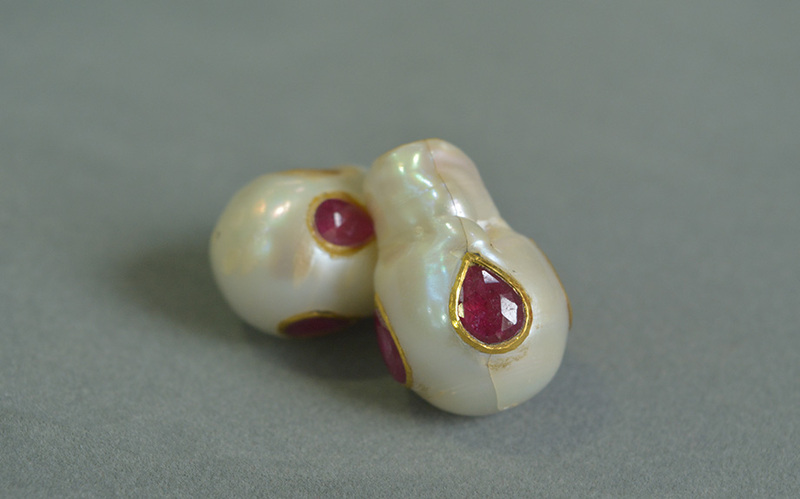 “There's a promise we make to each of our customers - to create wealth, not just jewellery. 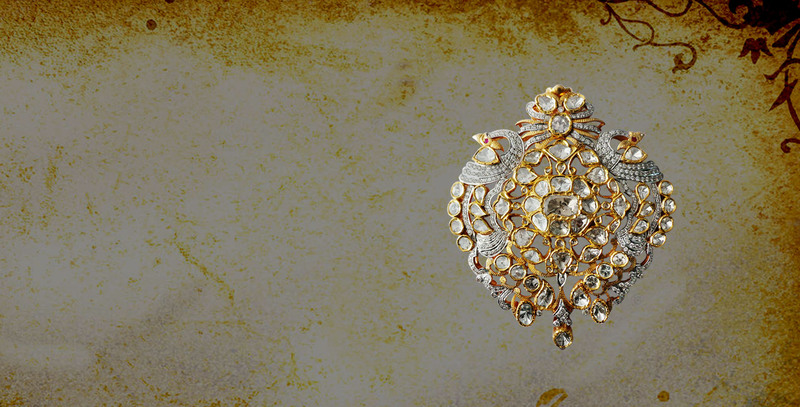 It is a pledge that was taken decades ago, when Praveen Jewellers, Jaipur, opened in the year 1990. 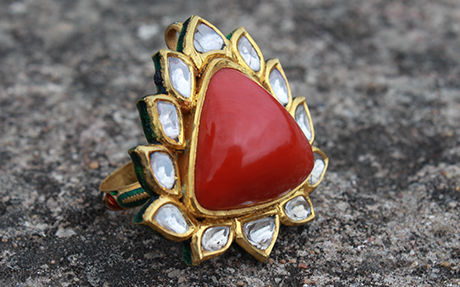 We are manufacturers and wholesalers of Kundan Meena (enameled), Polki (uncut/flat Diamond) and Jadau jewellery. 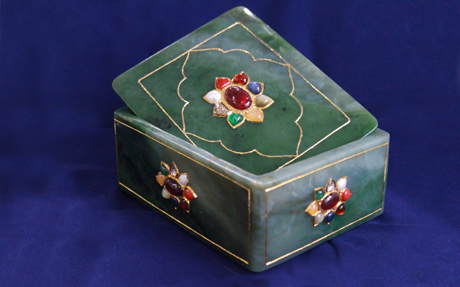 In addition, our speciality lies in handcrafted inlay work on stones (KMP stones) and Navratna. 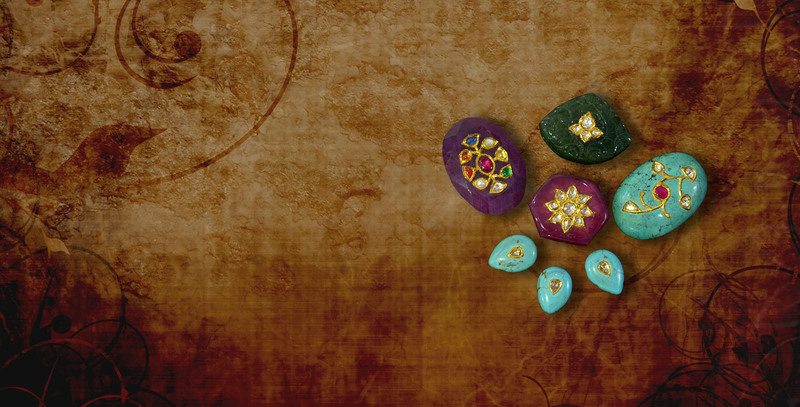 Our commitment since inception is to offer purity, quality, and creativity in tandem with rich cultural heritage and tradition. 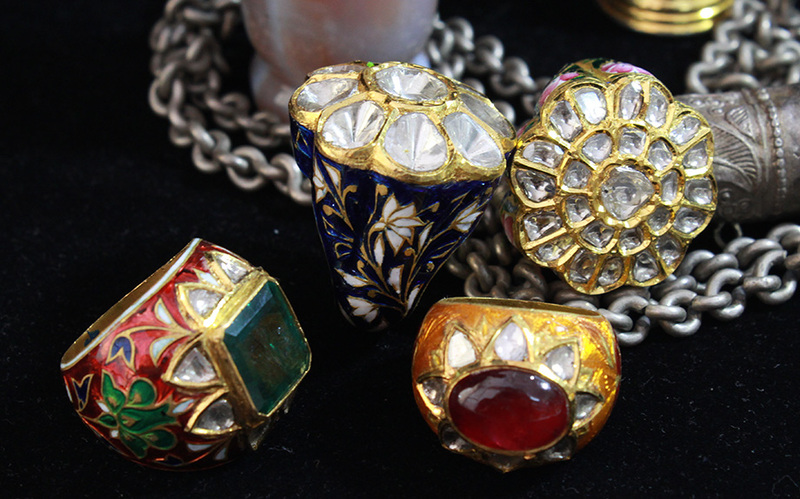 The timeless pieces are crafted in 22 kt (hallmark) Gold and the use of natural Emerald, Ruby, and Sapphire is an added flavor. 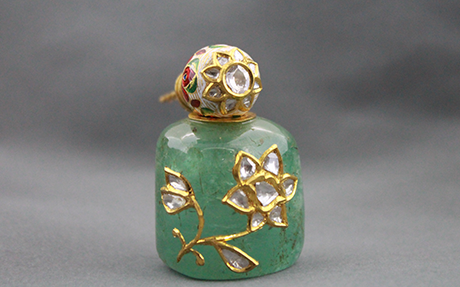 We supply to all well known retail shops in India and are regular exporters of our merchandise. 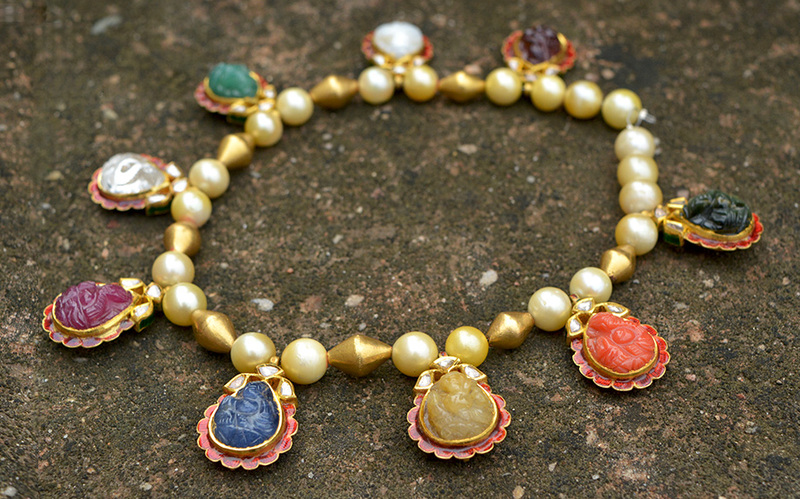 The classic elegance of Kundan Meena jewellery is manifested here with the help of nine auspicious gemstones Navratna. 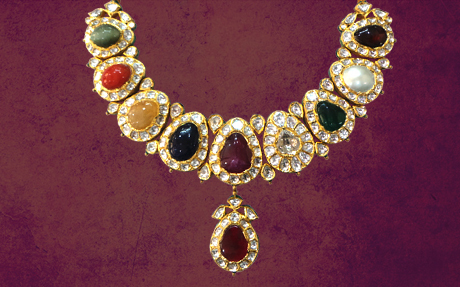 In Indian sphere of thoughts, the nine gems are identified as follows: Sun (ruby), Moon (pearl), Mercury (emerald), Mars (coral), Jupiter (yellow sapphire), Venus (diamond), Saturn (blue sapphire), and the ascending and descending nodes of the moon (gomed and cat's eye). 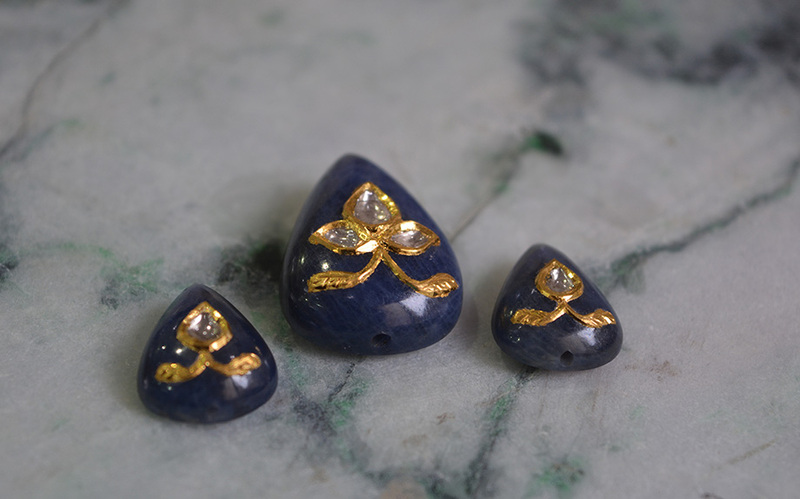 We have a passion for doing inlay work on a wide range of precious and semi-precious stones which are set with uncut flat diamonds and 24kt gold (Kundan) used for various designing requirements. 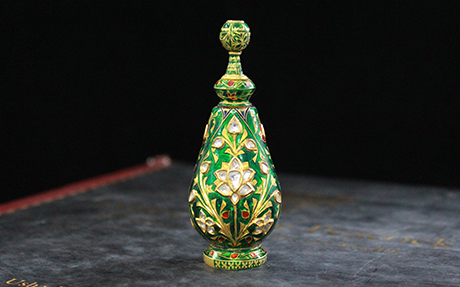 Presenting a masterpiece collection of Jadau Kum-Kum boxes, perfume bottles and many more that are richly enamelled and embellished with Rubies, Emeralds, and uncut flat Diamonds. 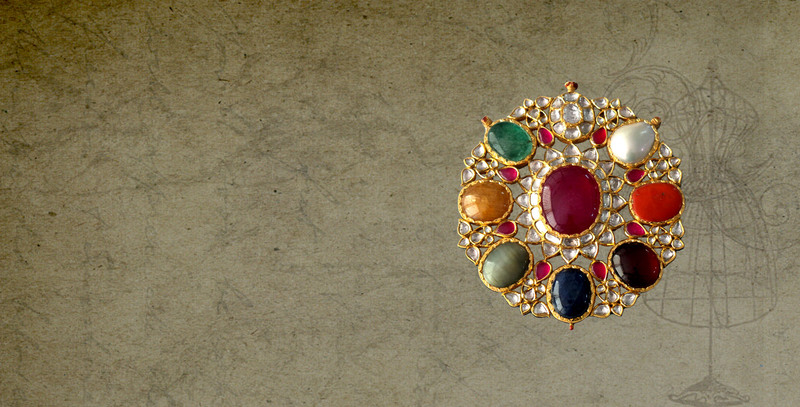 Fabricated from gold and designed with Kundan Jadau technique with Polki, Emeralds, Rubies and other cut and uncut gemstones. 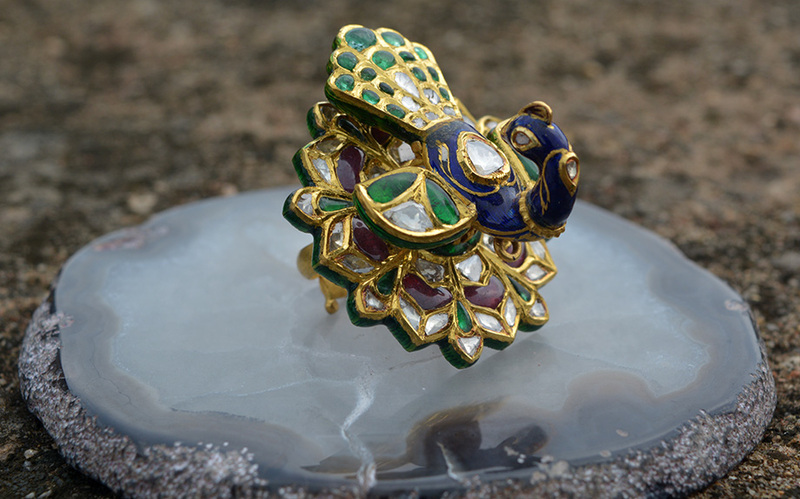 These rings are a fine example of the Meenakari work done by us. 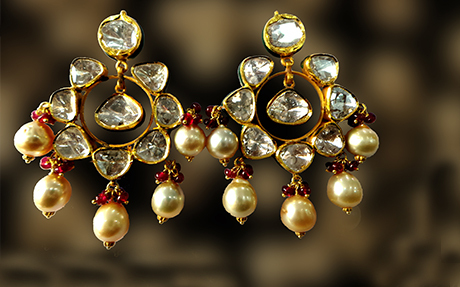 A majestic collection of Pendant sets and variety of earrings including Jhumkis, Chand Balis and Studs with Jadau work and enamelling. Share your thoughtful new design with budgets and timeline. 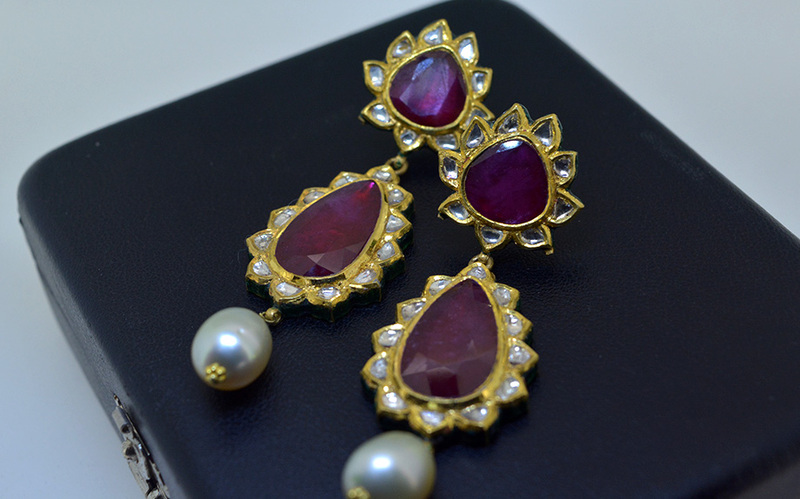 We discuss every detail for your jewellery including the quality and type of precious stones the designer in you wants. 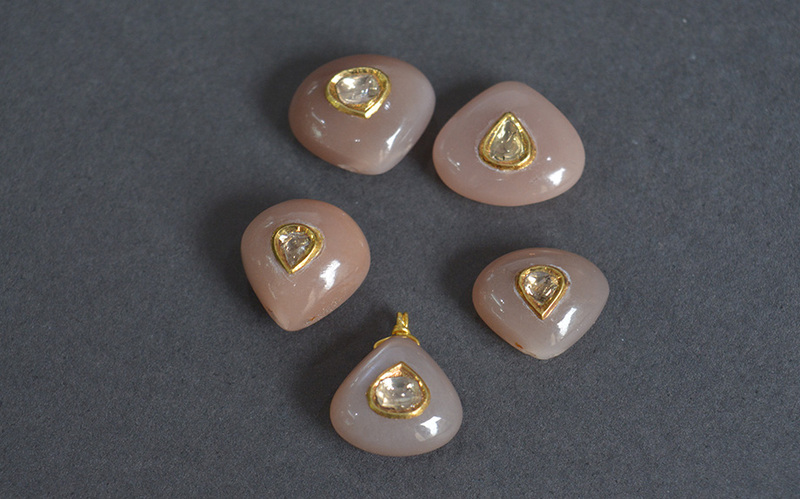 We will share an estimate with you including expected breakup before we begin the process of carving your masterpiece. Keeping you updated at each step of the process is our best endorsement. 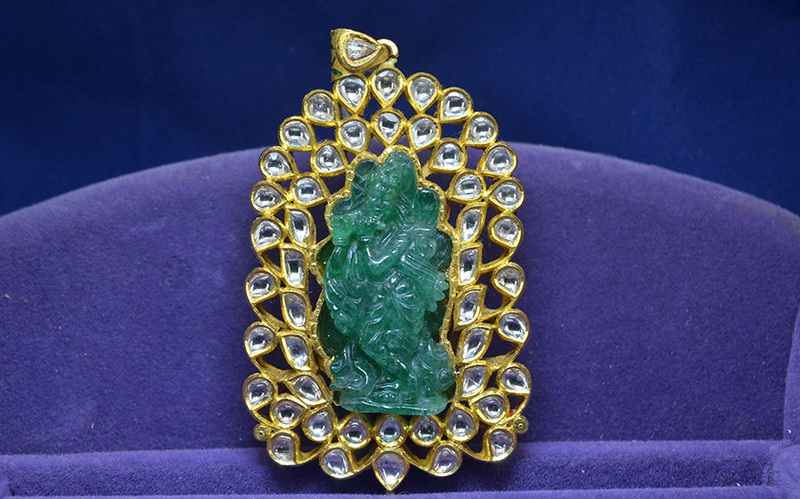 We are regular exporters and ship worldwide. © 2019 All Right Reserved. Multia.